Today, I want to conclude my exploration of God and Fantasy. This is a subject that I think about a lot, for the reasons set out here in the first post. However, my admiration and respect for two of the greatest fantasy writers of the twentieth century, both for their work and their faith, has allowed me a sense of freedom when it comes to utilizing fantasy to tell good stories. This afternoon, I want to talk about another couple of fantasy authors who are brilliant in their craft, but have not decided to use their talents to expressly glorify God. Phillip Pullman and Guy Gavriel Kay use their fantasy novels to explore other ideas of religion, yet tell fascinating stories that can be worth reading. I read both while on my journey to find God, and while I may disagree with the spiritual messages espoused by the books, I must admire their willingness to join in the conversation. 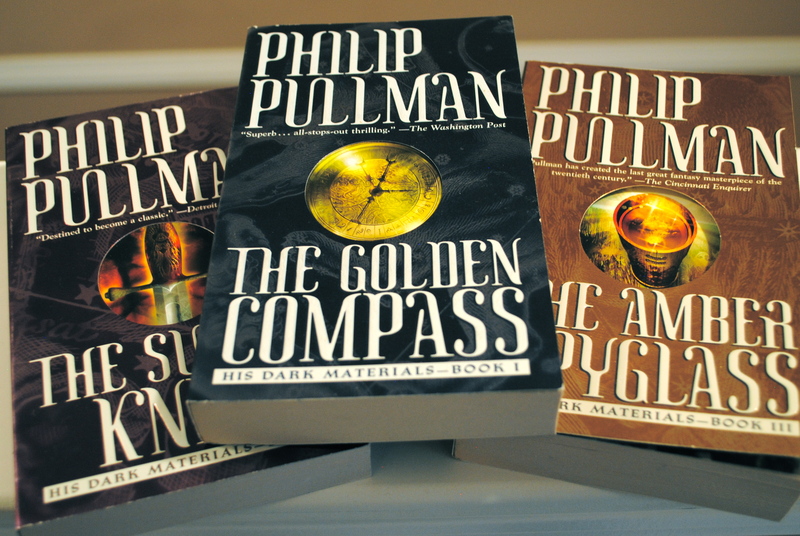 Phillip Pullman’s His Dark Materials series became very popular about seven or eight years ago, culminating in a movie adaptation of the first novel, The Golden Compass (or The Northern Lights, if you don’t live in North America). I read the books just before the movie came out and was deeply challenged by them, for they asked me to question some beliefs I had carried throughout my life. I needed to ask many of these questions regarding God and the Church for me to realize my need for a faith of my own. Though I never settled on Pullman’s world view, it was an important step for me. Pullman is a staunch atheist. He has made clear his disdain for C. S. Lewis and The Chronicles of Narnia as Christian propaganda. He believes that there is beauty in the world, but it is not to be found in religion. These sentiments are clear in His Dark Materials. The Church is a morally dubious institution that enforces its will on the population and roots out heretics mercilessly. He puts forth the claim that the God that everyone has been worshiping is, in fact, an impostor who usurped the Creator’s throne at the beginning of time. It draws heavily from Platonic and Gnostic concepts throughout, but is not without its merits. Phillip Pullman writes great characters and great relationships between them. The connection between his protagonists, Lyra and Pan, involves some of the most touching moments in literature that I’ve read. Pullman speaks to the importance of companionship and being willing to open ourselves up to others. The villains are all carefully crafted to be completely understandable, even when you hate them for what they are doing. They are real people who happen to be misguided and zealous. Characters experience heart-rending loss, great personal growth, and the opportunity for self-sacrifice that are hallmarks of great fantasy. Guy Gavriel Kay, on the other hand, is not a vocal atheist. I have been unable to actually ascertain his spiritual leanings, so I can only speak about what he offers in his trilogy, The Fionavar Tapestry. I read this series shortly before returning to Christianity, and was not challenged in the same was as I was with His Dark Materials. That is not to say that Kay has nothing to say about religion in this book, however. 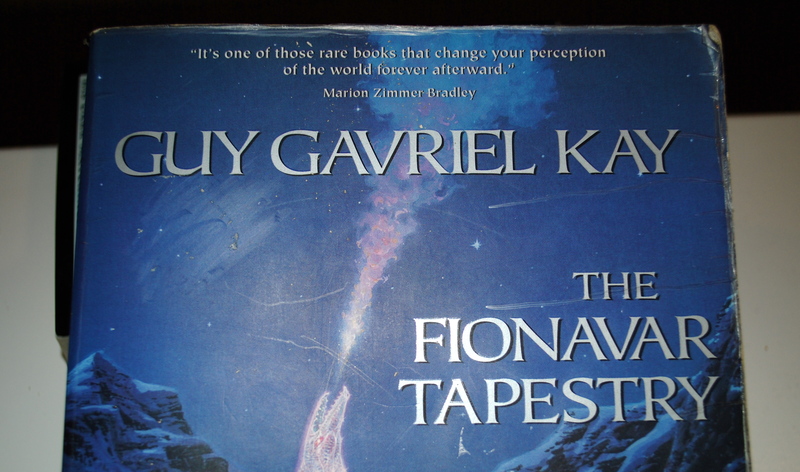 The central conceit of Kay’s story is that the world of Fionavar is the first of all worlds, and that anything that happens in our world (or any other world) first happened there. It is the central hub of existence, and all of our myths, fables, and religions are drawn from events that happen in their world. This allows Kay to draw upon several mythological and religious sources to populate his world. And what a world it is. Fans of fantasy will see strong influences from Tolkien (who mentored Kay and the two maintained a close relationship), Norse mythology, the Arthurian legends, Greek epics, and Christianity. My concern is not his use of all of these sources, but the fact that Christianity is thought of as one of many sources of power, equal to all others. It is not so much an issue I have with the book, just with the concept. Yet, as a place to start conversation, this may be a great beginning point. In the end, The Fionavar Tapestry is a story of redemption. Very dark events (it isn’t a children’s book by any stretch of the imagination) lead to very bleak circumstances for the heroes. Yet a glimmer of hope is given, as one character is allowed the choice between good and evil. Just as we all must choose between the dark and the light, Guy Gavriel Kay gives his readers a personification of this choice to follow. No matter how hopeless everything seems to get, we know that it doesn’t have to end in darkness. Self-sacrifice is one of the strongest themes of The Fionavar Tapestry, which may be one of the reasons I enjoyed it so much. His use of old fables and myths is fun, especially if you know much about the stories he is referencing. What I first thought to be blatant idea theft turned into a well defined homage to the grand history of epic fantasy. For those interested, Kay’s writing style took me a little while to get used to, but once I was invested, I became very attached to all of his characters, and I stopped caring about his intricate sentence structure. For those who love fantasy, or those now thinking of exploring this rich genre, I just ask you to keep a conversation open. There is far less danger of reading about magic and monsters if we can talk about the good and the bad of each story. I don’t only read Christian authors, but I’ve learned there are some writers who are so far from my beliefs that I cannot stand to read them anymore. I do not fear their words, but I know I can only take in so much hopelessness and violence before it starts to affect me negatively. I caution you all to check in with yourselves to make sure you are growing through what you are reading. Thanks for following along with my discussion of Faith and Fantasy. I hope I’ve given you something to think about over the past couple weeks. I know that I’ve been enriched by some of the conversations I’ve had with friends and family about the series. If you still want to steer clear of magic and fantasy altogether, I’m not offended at all. We all have our paths to walk, and God calls us to different journeys. I just hope to share a portion with all of you. Good post. I would say Kay goes a little beyond a homage in Fionavar Tapestry, though. He weighs a heavy blanket over the whole idea of the “happy ending,” where many fantasies don’t show enough of the cost of victory. Fantastic book. Thanks matthewrettino! You are very right that Kay portrays the cost of victory with a flair rarely seen. It’s an important part of the story, understanding that “happily ever after” does not come for free, at least not for everyone. Sacrifices must be made to defeat evil. Thanks for reading, and I’m glad you enjoyed the book. Writing the post makes me want to go back and read it on one of my breaks.